Very cute free template for your homemade baby shower party invites, ready to be printed at home. Also very suitable for bridal shower events or school kids graduation parties. Empty fields for details include: for, when, where and RSVP. 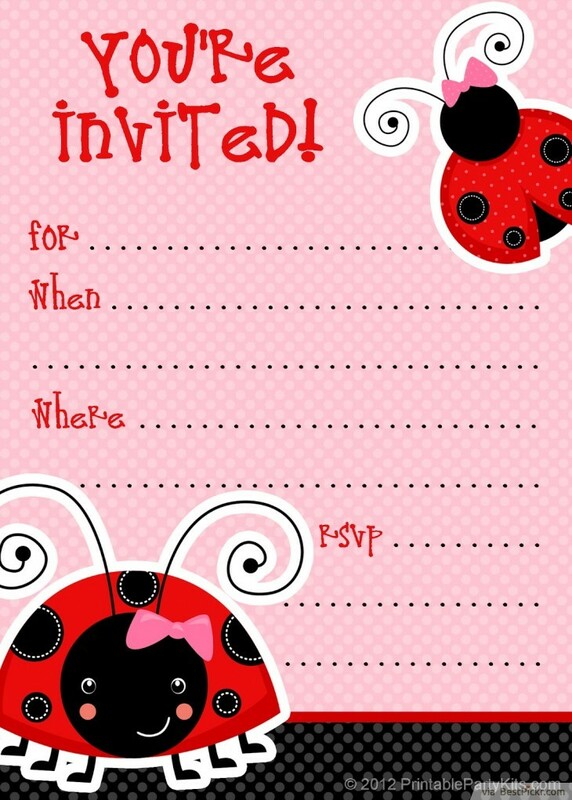 Design is girly with pink check texture background, bright red and black spots for the ladybug with long curly antennas and a big title that says "You're invited!" 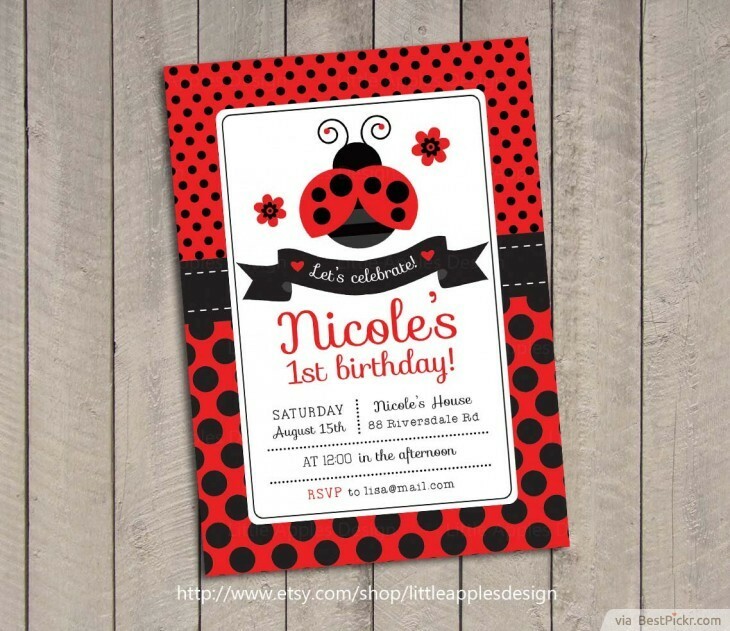 You can buy these really sweet and cute, yet professional and inexpensive complete Ladybug party invitation, tags and Thank You cards custom made to your personal preferences for under $5 when ordered in bulk with discounted prices. The package also can be bought with all extra party favor or cupcake toppers, banners, stickers, and greeting cards for reasonable prices. Or if you are the diy type, use it as great inspiration to create something really unique and personalized to your party style. Great choice for kids birthday party, or even adults girl gatherings, and of course, bridal or wedding showers. 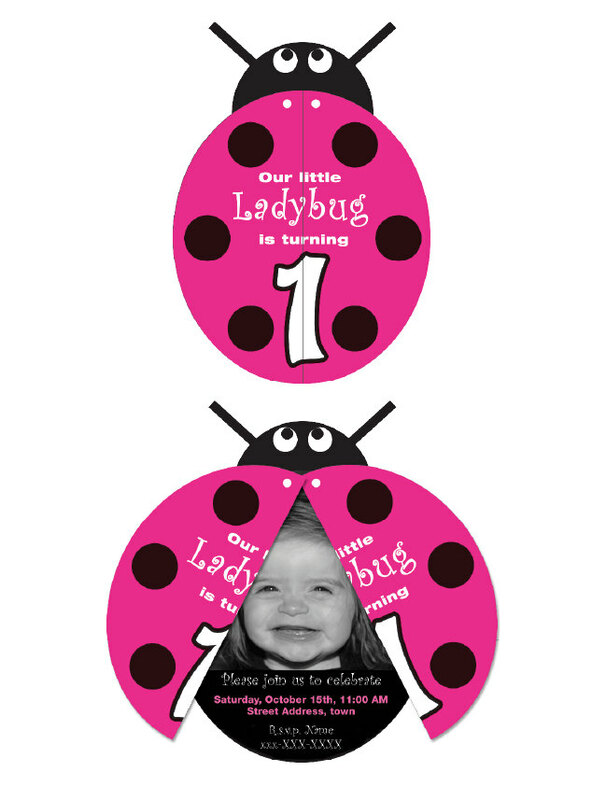 This fun and interesting Ladybug decoration pops out with real embellishments, can be glittered to add that mysterious magical touch, and the wings flap is functional so it can be opened to reveal the invitation inside. Planning or organizing a big party at home? This maybe what you are looking for. 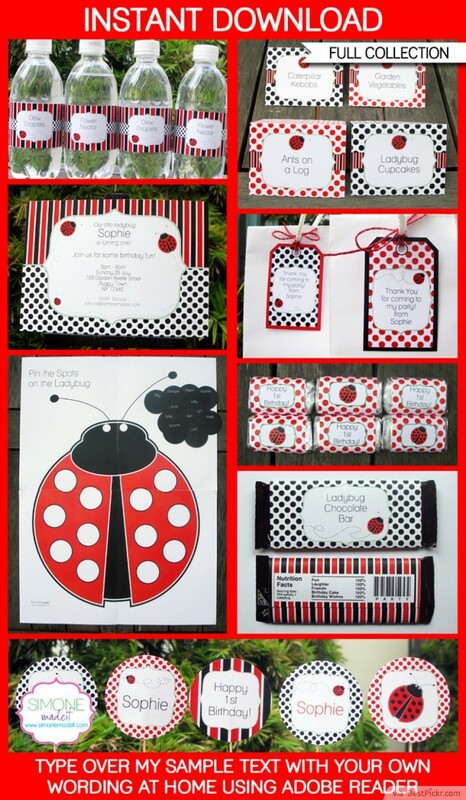 A full package of immediately printable Ladybug digital files that you can edit custom text yourself with Adobe Reader at home, ready to mail out tomorrow, within 24hrs! Is your beloved daughter having her first birthday celebration? Or perhaps this is your first child's baby shower party? This one-of-a-kind, creative, homemade invitation is nothing but an amazing feast of awe, sure to bring lots of surprises to your guests who are lucky to be invited! 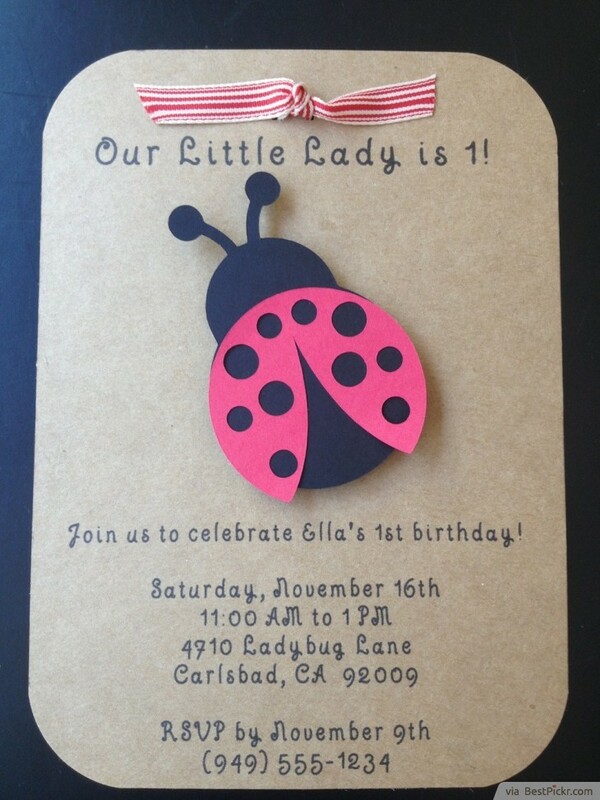 Just because it is diy doesn't mean it cannot look professional, and this Ladybug invitation is the proof. 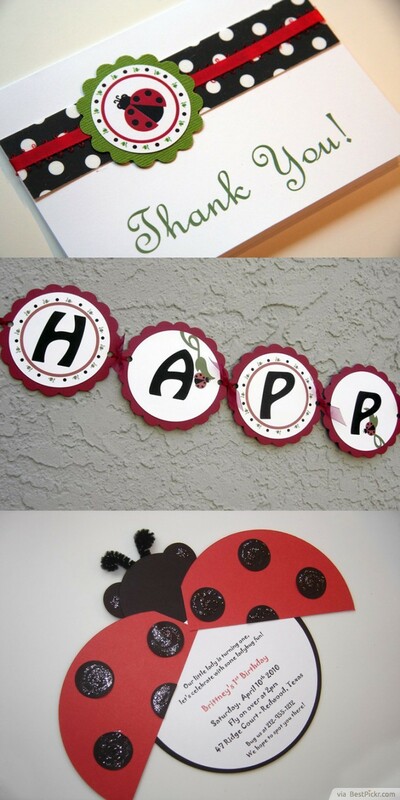 You can put it inside an envelop along with Thank You card. It is especially good if you want to invite your friends or colleagues personally and privately, because the receiver can only see the invitation message and RSVP details by opening the bug's wings. From the outside it just looks like a greetings card. 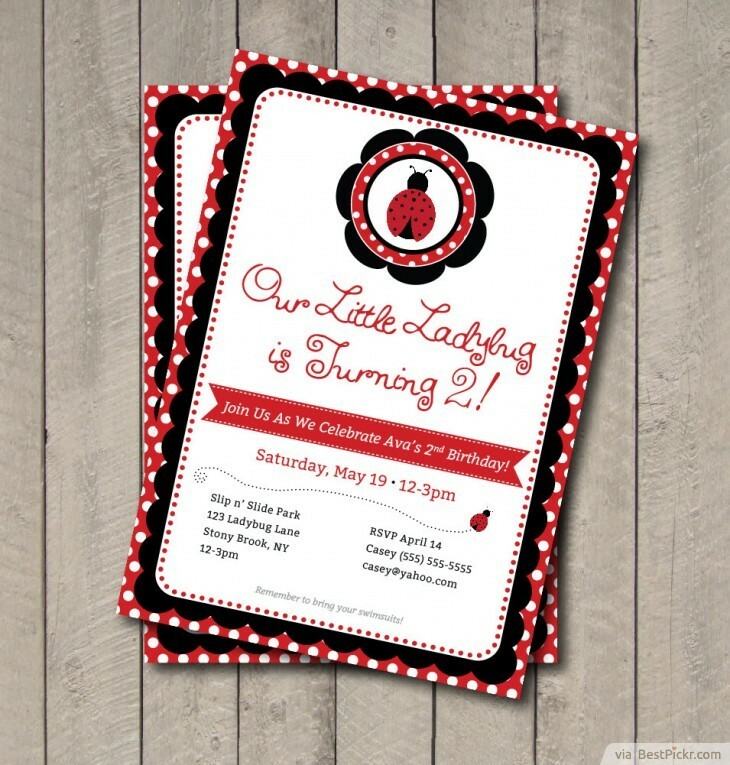 You can check out the full step by step tutorial on how to make this amazing custom Ladybug invitation design here. Good for either girls or boys! If minimalism is your flavor, then go for this very simple classic baby shower invitation card, that can be bought for less than $2 each with your personalized custom details that you can design yourself! This is cheap and yet elegant option for a diy printable card that you can buy off the shelves and get it delivered quickly for urgent party planning, especially if you don't fancy handmade stuffs. So adorable this little one! I love how you can customize a personal photo of your child in this printable invite card, who can resist such innocent look and totally lovable face of your baby! 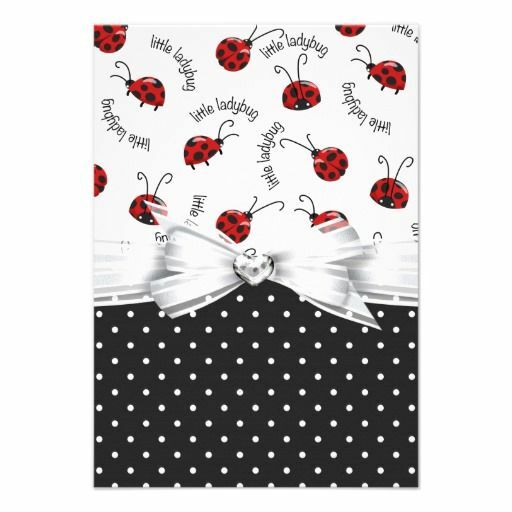 Bright pink and black spots ladybug in cartooning style.